Based on the novel by Arthur Golden. 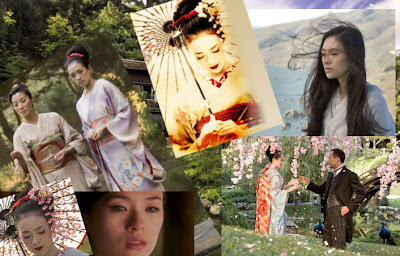 The life story of Chiyo Sakomoto as she is sold by her parents to a geisha house, losing her sister Satsu to another Tokyo district, before World War II, then as she learns the art of a geisha, gaining fame as much as enemies, fleeing the city as the war comes to her doorstep, what she sacrificies for her safety and her title, and how she holds on desperately to love. Being a sucker for the Japanese culture, this was on my to-watch list like in forever, and then I read Shadows on the Moon by Zoë Marriott, and I got even more fascinated by the concept of the Geishas, and what kind of stories acutally stood behind them. Or at least what you could put behind them (and probably much of it isn't made up). The book and this movie are very much alike, and since I loved one, I also loved the other very much. I guess I'll be watching this over and over again, because it definitvely became one of my all-time favorites. Plus, Ken Watanabe is definitively one of my favorite actors, and Michelle Yeoh and Zhang Ziyi proved very good actresses as well. I think they had very hard characters to play but managed to bring them across just awesome.